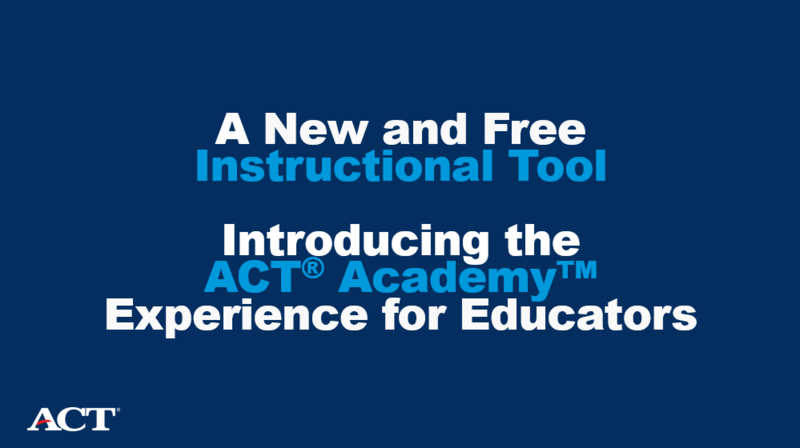 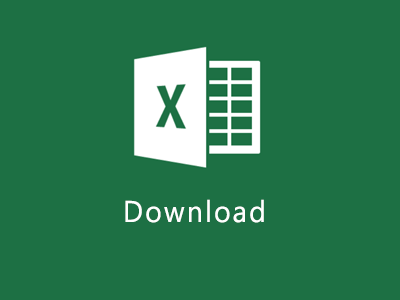 In March 2018, ACT launched the student experience of ACT® Academy™, a free online learning tool and test practice program designed to help students get the best score possible on the ACT test, and well on their way to college and career success. 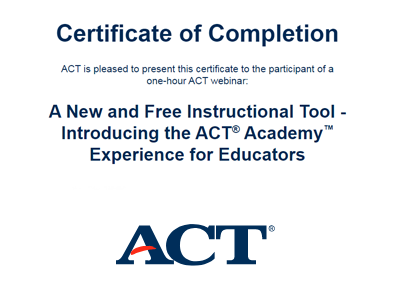 In September, ACT will launch the teacher, parent, and administrator experience. 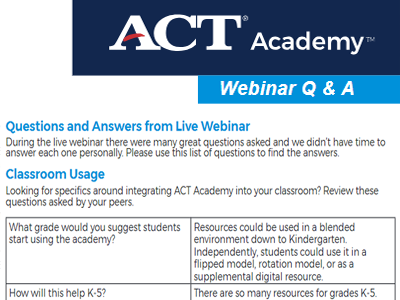 Using ACT Academy, teachers will have access to a personalized repository of resources and a ready to use digital curriculum that is mapped to key standards. 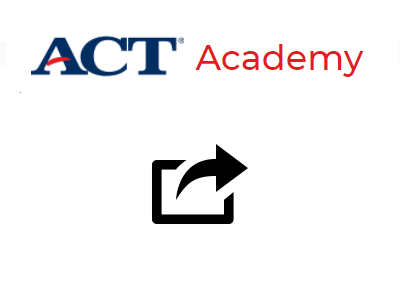 Through video lessons, interactive practice questions, full-length practice tests, educational games, and other materials targeted to students’ academic needs, teachers will be able to deliver lessons to students that need help with a specific topic with just one click. 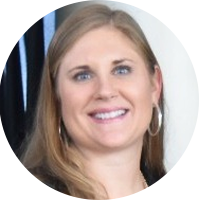 Who should watch: Educators, school counselors, administrators, and others involved in the transition from secondary to postsecondary education and beyond.